This first McLaren Senna in the US has seats which have used nanobionic technology from Nanobionic. Such seats stimulate local blood flow, and increase energy, comfort and overall feeling of wellness for the driver and passengers. Nanobionic coating is applied to athletic apparel, bedding products, everyday apparel, footwear and military apparel. The technology can be treated on any kind of fabric, including leather and foam products. The proud owner of the first McLaren Senna model to come to the United States, and to include nanobionic technology on the seats, Michael Fux, is one of the most influential car collectors in the world and generous philanthropist. 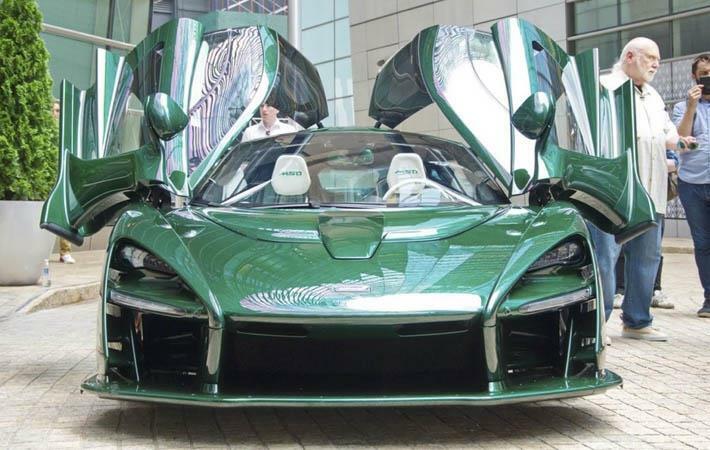 Fux gave an exclusive interview to CNBC's Robert Frank, and many celebrities were in attendance for the presentation of the emerald green Senna, including ABC's TV Host and former NFL superstar, Michael Strahan. Fux said: "I am very happy to have the first McLaren in the world with Nanobionic technology on the seats."